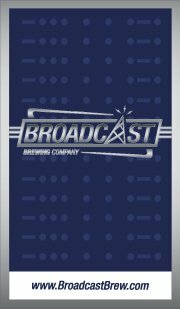 On Monday, January 16, 2012, I interviewed Mike Causey, head brewer and owner of Broadcast Brewery, a new brewery that will be emerging on the Nashville craft beer scene this year. Due to the length of the interview we are posting part 1 today and part 2 tomorrow morning. This part looks at how Mike got started brewing and the launching of Broadcast Brewery. How did you get started in brewing beer? Pretty common story I imagine, my wife about ten years ago, looking for a gift to give for my birthday. She ended up giving me a beer making kit. I was a big fan of beer but never really thought about trying to make it, I was just enjoying the different craft beers at the time and a lot of imports as well. So I started there and it became a passion and to see the least pretty much has taken over my life. Do you remember the first beer you home brewed? I think it was a wheat, it was straight out of a kit, doing extract and all that kind of stuff, it was a hefeweizen, now that I think about it. I lived in Germany for awhile and was a big fan of those. It surprised me how well it tasted, just like bread, the fresher it is the better it tastes. It’s like home-cooking; it’s going to be great. Yes, and that kind of led me into wanting to open up a brewery. I come from media production, doing a lot of digital work as far videos, documentaries, websites, that kind of thing, which is satisfying but it wasn’t as tangible as brewing beer. That is what I really enjoyed about making beer was the tangible, hands on, you’re milling the grains, it’s physical. I found that a lot more satisfying and of course it results into a great beer. Is there any particular style a favorite of yours now? Now, I enjoy the full range of sours, I have really been getting into that. I don’t think we will brew those just yet; initial startup makes it very difficult to do a sour because of the time involved. Making the jump to a fully realized craft brewery is a big deal, why now? We have been in the process for about three years, so it is not an easy jump. One you want to make sure you are financed properly, so you can maintain the growth, because it is a huge capital investment up front, with returns coming in over time. That took a while, just like finding the right location took us a while within the city that had the right mix and feel with what we are doing. We looked at many warehouses, we came close on a few locations but it didn’t work out for a myriad of reasons, and we finally found this one. [ed. 906 Main Street, Nashville] I would have liked to been open sooner, but you need to find the right place at the right time, and that is what we were trying to do. We didn’t want to rush it or sacrifice some things; we wanted the best situation to make the best beer that we could make. What made you decide on the Nashville region? I have been here twenty years, I am originally from Alabama, but I moved up here about twenty years ago, so in Nashville terms you are a local at that point. This is my home now, been here longer than I have been anywhere else and there is a tremendous growth opportunity here. There are three or four breweries operating right now, so much room for growth and creativity, just so much room in the market unlike other areas like Colorado or Portland where they are pretty saturated. What has been the most challenging part of launching Broadcast Brewery? The most challenging was finding the location. That was really one of my most challenging things, to find a place that fit right. We wanted to make sure that we had the right people involved at that location so we can make something happen. There were some that were great for one aspect, or had a lot of walkup traffic, which we are somewhat interested in, but not as important because we are primarily going to be a packaging brewery or different things like that. That was really the hardest part of it, getting people on board and excited about the idea has not been a problem. It has been more of getting the right location, and then you have to look at the zoning here in Nashville, there are legal issues and laws in the zoning that makes it a little challenging in this area. Look for part 2 tomorrow morning, where Mike talks about their plans for 2012 and most importantly the beer they will be brewing!